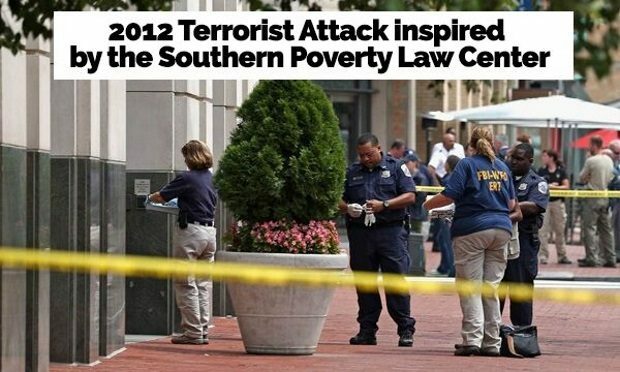 On Wednesday, PJ Media discovered that the Southern Poverty Law Center (SPLC) — a notorious left-wing smear organization — had silently removed Omar Mateen, the radical Islamic terrorist responsible for the deadliest Islamic terror attack since September 11, 2001, from its report documenting “Terror from the Right.” His name just disappeared. Mateen, a 29-year-old security guard, declared allegiance to the Islamic State (ISIS) and entered Pulse, a gay nightclub in Orlando, Fla., on June 12, 2016. He killed 49 people and wounded 53 others, dying in a shoot-out with police.